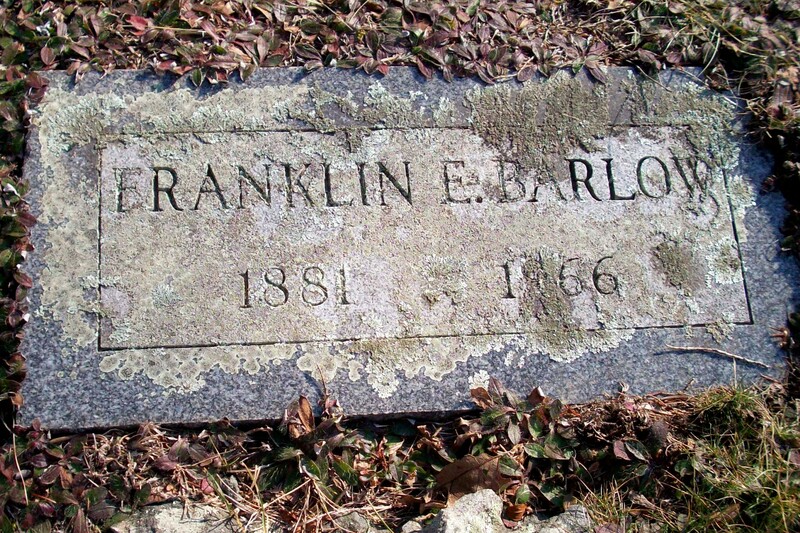 Born: October 10, 1881 in Sandwich Ma. 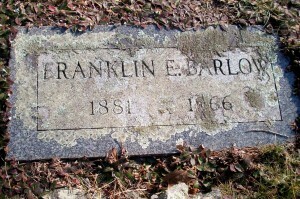 Died: July 4, 1966 in Bourne Ma. at 85 yrs, 8 mos. Married: January 15, 1916 in Bourne Ma. To: Rita Mae Corbett; (1895 – 1979) (Newell C. Corbett & Alberta L.Ryer); Rita married (2) Lloyd Melville Hendrick, Jr. (1891 – 1979) (Lloyd Melville Hendrick & Emma Margarette Flovin) in Bourne Ma. on February 18, 1967; Lloyd married (1) Evelyn Elizabeth LeBlanc (1891 – 1965) (Thomas Francis LeBlanc & Emily Melanson). 1. 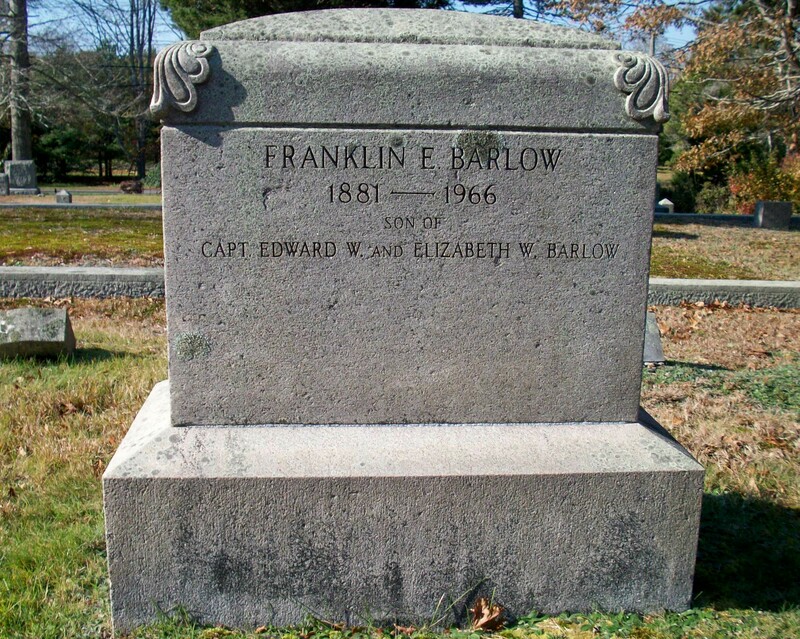 Franklin/Bucky Edward Barlow, Jr.; (May 17, 1917 – July 20, 2017); Married Isabel Frances McGarvey (1934 – ? ); Isabel married (2) Donald Whittier Cunningham, WW ll (1925 – 2005) (Elden Merton Cunningham & Ruth Huntley) in Bourne Ma. on June 12, 1976. 2. Rita Louise Barlow Cook; (June 15, 1919 – January 23, 2011); Married Stanley Edward Cook, WW ll (1918 – 2008) (Edward Thomas Cook & Ethel Delilah Wing) in Pocasset Ma. on March 17, 1942; Rita & Stanley died in Petaluma Ca..
3. Dorothy C. Barlow Washburn; (March 7, 1922 – July 19, 2016); Married Charles Daniel Washburn, Jr., WW ll (1919 – 1997) (Charles Daniel Washburn & Julia Florence Stearns) in Bourne Ma. on August 22, 1942; Dorothy & Charles are buried in Pittsfield Cemetery in Pittsfield Ma..